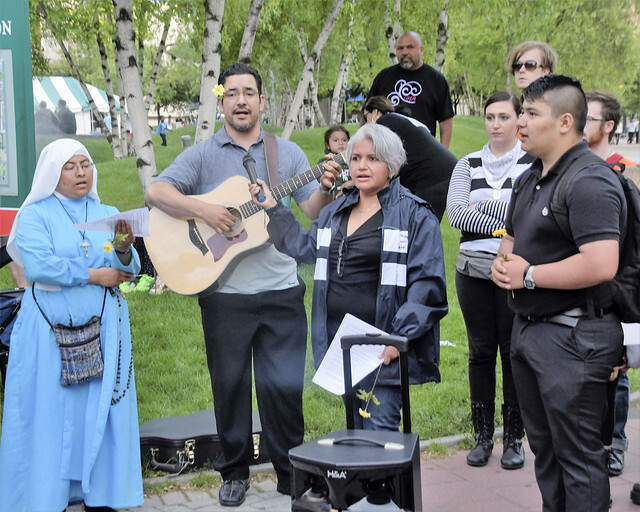 Movimiento Cosecha GR, an immigrant rights group, held a vigil and march Saturday, June 2, 2018 for the National Day of Mourning. They put out a statement saying, "We mourn the loss of our children’s safety and innocence. We mourn those lost at the border, deserts, and in detention. We mourn those murdered by the immigration system. We mourn, but that won’t stop us from taking action. 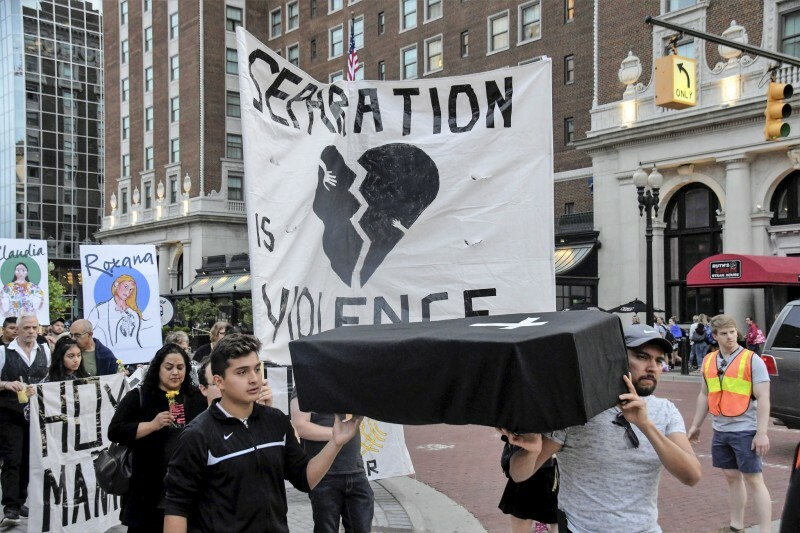 Join us June 2 on a vigil and a procession for the murder by the border patrol of Claudia Patricia Gómez González a 19 years old Guatemalan girl." The group gathered at Rosa Parks Circle and marched down Monroe Avenue and up Pearl Street and the Festival of the Arts. They were confronted by several police who redirected them from marching through the festival. The group continued to march up Pearl and across Division Avenue and back down Monroe Center to Rosa Parks Circle for a candlelight vigil.